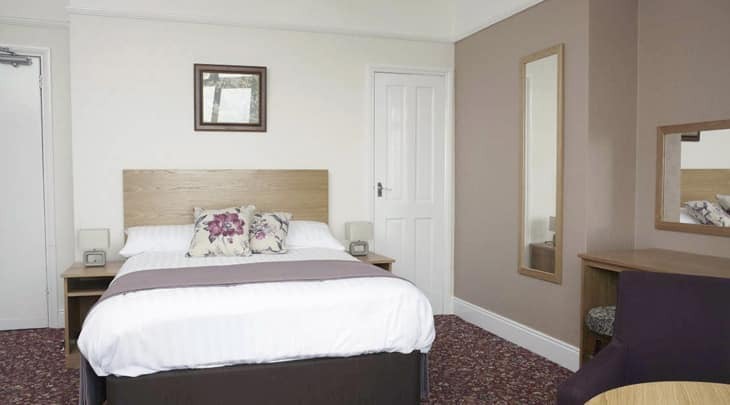 en-suite bedrooms have been designed to provide a comfortable holiday retreat where you can really relax. The rooms are graded as Premier Suite, Balcony Bay View, Bay View, Standard, and Cosy Double - one with a sea view. We also have a Family Suite. Facilities include: remote control flat screen television, hairdryer, desk fan, hot drinks refreshment trays, and luxury eco-friendly toiletries.